Roofs in Colorado are constantly working overtime, due to being exposed to the extreme elements that come with the beauty of this state. Sunny days means more sun exposure to the roof shingles, and being that it is dry, this only wears down the shingles even more. Hail, wind, and snow are no strangers to properties in Colorado and it’s important to keep an eye on your roof when those storms happen. Having someone with a trained eye to spot storm damage and worn shingles can determine the integrity of your roof and your entire property. Our roofing services cover most of the Front Range, but mostly focus on areas around Denver and Colorado Springs. 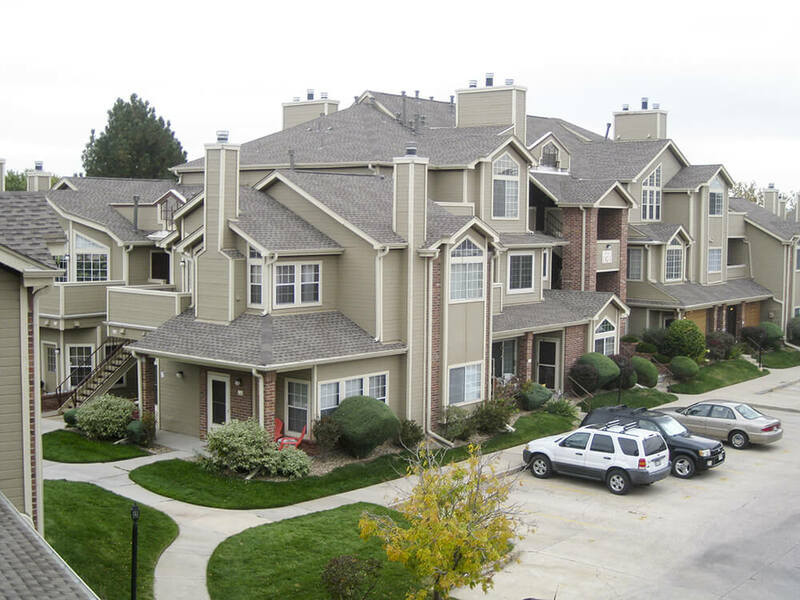 The most common issues we as roofers run into in Denver are usually caused by storms and the harsh elements. Hail is no stranger to this area and has been known to wreak havoc on properties, their siding, and their roofs. We see all types of different styles of roofs in the Mile High City and are trained to work with all of them, from clay tiles to slate and most commonly asphalt shingles. The views in this area are spectacular, with the Rocky Mountains basically in the backyard. As we often look at the mountains and the sunsets that complement them so well, the roofs of houses and businesses are in our direct site. ECO Roof and Solar help to maintain the beautiful backdrop by ensuring that roofs in Colorado Springs are in the best they can be, and looking as beautiful as the scenery around them. Colorado is a wonderful place to live, with an average of over 300 days of sunshine. However, the weather often fluctuates from one extreme to another, with plenty of hail, wind, and snow damaging properties across the entire Front Range. Residents and business owners alike have accepted that they have to be prepared for the worst weather, but when houses get damaged, they shouldn’t expect roofing companies to add to the stress and uncertainty that storms can cause. ECO Roof and Solar specialize in mitigating the damage, headache, and hassle of repairing or replacing your roof. Our professional, certified, and reliable roofers are as necessary for your roof as your roof is to your property. After all, you can’t control the weather, but you can control which roofing company does the work for you. What’s worse than having storm damage? Having to take care of the insurance claim process. Going back and forth with your insurance company and the roofing company puts you in the middle of a situation you didn’t ask for. Making sure the roofer and the insurance company work together is making sure you get what accurately covers your business or home. ECO Roof and Solar will provide you a billing specialist who specializes in maximizing your claim. Does your property’s roof need attention?